RIVERSTONE Homes: Exceptional living begins with this four-bedroom, two-and-a-half bath, two-car garage, lightly lived and elegantly appointed home. Located within the highly desirable Riverstone community which offers extraordinary resort-style amenities. The Lifestyle Complex offers an abundance of activities. Residents will enjoy indoor sports, fully equipped fitness center, a social area with outdoor covered patio, catering kitchen, multi-purpose studio, game room, billiards room, five tennis courts, picked ball, basketball courts, free-form resort-style pool with rock waterfall, a separate lap or exercise pool and a jacuzzi spa, separate children splash water park and playground and the poolside bar and cabanas make a perfect atmosphere to enjoy the entire day in or out of the sun! RIVERSTONE Homes: Immaculate is an understated observation!!! This lovely home has been gently lived in by the original owner. The neutral finishes allow for your personal touches. Riverstone has wonderful community amenities, including a fabulous pool area with covered sitting areas for those who don"t want too much sun. You will not be disappointed in this home. There is space for a family, as the school district is well rated by the state of Florida! RIVERSTONE Homes: ABSOLUTELY STUNNING and PRICED TO SELL! You will fall in love with this incredible home the minute you step into it. Updates galore in this most popular Chandon Grande model. This 4 bedroom plus den, 3 and a half bath home has been expertly updated. Updates include: fresh paint throughout, new light fixtures, sliding barn doors, new carpet in bedrooms, upscale new window treatments, industrial farmhouse style kitchen faucet, and gorgeous five inch crown molding, door and window trim in all rooms to add warmth and character. All this with soft close cabinets, beautiful granite counter tops and back splash in kitchen and baths, energy saver stainless steel appliances, volume ceilings, Ring doorbell system and Nest home, temperature control system. Perfect home for entertaining and out of town guests. So much living space! This beautifully landscaped home with large fenced in, private yard backs up to a quiet, serene nature preserve in this highly sought after gated community. Riverstone community boasts tons of activities and amenities including pool, clubhouse, and tennis, basketball and pickle ball courts and is close to shopping, beaches, and entertainment. RIVERSTONE Homes: Start the New Year off right in this Five-bedroom, Conrad model home situated on a cul-de-sac. It is one of the best values in the remarkable Riverstone community of North Naples. Upgrades include marble and wood floors, upstairs bonus/game room, custom kitchen which opens to the living area, security system, impact windows and door in the front and extended lanai with southern exposure and fenced-in yard. Riverstone welcomes you with an impressive front entrance and 24-hour staffed gatehouse. At the heart of the community is the lifestyle complex with full-time social director, along with a clubhouse and sports complex featuring indoor and outdoor basketball courts, fitness center, game room, resort and lap pools, five lighted tennis courts, pickleball, party pavilion, as well as a shaded playground and water park area for the kids. The community is near A-rated schools, colleges, golf courses, Gulf beaches and the airport. Lawn, landscape maintenance and pest control are included. This home is only available to the first buyer who acts NOW. RIVERSTONE Homes: This immaculate Cabernet floorplan home offers 3 Bedrooms, Den, 3 Full Baths, and a 3 Car Garage. Situated on a premium lakefront lot with eastern exposure and is walking distance to The Club at Riverstone. A great room style floorplan including both formal and informal dining areas make this home perfect for entertaining. Solid wood cabinets, granite countertops along with full granite backsplash, KitchenAid appliances, soft close cabinet drawers/doors, tile throughout with wood in the bedrooms (no carpet anywhere), crown molding, window casings, custom built-in feature wall, upgraded lights & fans, $3k garage floor finish, and ELECTRIC ROLL DOWN & ACCORDION HURRICANE SHUTTERS are just a few of this home"s special features. Room for pool! A Rated School district. Riverstone offers new modern living along with an amazing clubhouse, which features a Resort Style Pool, Lap Pool, Hot Tub, Kiddie Water Park, Outdoor Party Pavilion, Tennis Courts, Tot Lot, A/C Indoor Sports Court, Soccer Field, Social Rooms, Billiards Room, Dance Studio, & more! Riverstone is conveniently located just 2 min from I75, 15 min to the Beach, and 20 min to 5th Ave/Coconut Point/RSW Airport. RIVERSTONE Homes: Lowest priced pool home in Riverstone! This highly sought-after Burgundy floor plan home offers a sparkling lake view, elegant upgrades and a coveted location within walking distance to the community amenities. Upon entering your grand foyer you can feel the spaciousness of this 2 bedroom plus den, 2 bath, open concept home. Enjoy cooking again in your upgraded kitchen with warm espresso cabinetry, stainless appliances and an over-sized breakfast bar with seating for four. A formal dining room is conveniently adjacent to the kitchen. Increase your living space by opening your floor to ceiling sliders and step out onto your over-sized paved lanai . Sit under the covered seating area and listen to the warm water spill into the lagoon shaped pool or lounge in the pool"s sun shelf. Back inside your private master retreat is tucked away including his and her glass walk-in closets, custom linen closet, en-suite bath. Additional features include volume ceilings, crown molding, recessed lighting and plantation shutters. Rich amenities, include resort style pools, large spa, fully equipped fitness center, 5 tennis courts, indoor basketball and pickleball, billiards, game room, and more! RIVERSTONE Homes: This beautiful 2,213 sq. ft. home has 3 bedrooms+den, 2.5 baths, over $125k in luxury upgrades, sits on an extra long lake lot with plenty of room for a large pool, & has incredible sunset views! Home features large open living area; formal dining room; deluxe chefs kitchen with quartz counters, stainless steel Viking & GE appliances, metallic backsplash, 42 slow close cabinets/drawers, farm sink, & pantry; master suite with bay window & 2 walk-in closets; master bath with dual sinks, quartz counters, tub & walk-in shower; den with double glass doors; & screened lanai. Additional upgrades include: amazing Mirage engineered driftwood flooring in main areas, bedrooms & den; plank tile in all baths & showers to ceiling; plantation shutters, crown molding, upgraded lighting/fans, tray ceilings, Wink security system with 8 cameras/monitor & phone controlled door/lighting; expanded drive/walkway & more. Riverstone has incredible amenities including; state-of-the-art lifestyle complex, social director, heated resort-style pool, lap pool & spa, fitness center, 5 har-tru lit tennis courts, pickle ball, indoor & outdoor basketball courts, playground, water play area, picnic pavilion & more. RIVERSTONE Homes: H.13512 This gorgeous 3 bed+den / 3 bath floorplan home is better then new, barely lived in, and meticulously maintained, with over $100,000 upgrades, priced to sell. MUST SEE this home to appreciate the elegant finishes including polished porcelain floors, stainless GE Profile appliances & range hood, built in bar in dining room, tile-to-ceiling in all showers, granite kitchen counters with full back splash, frameless master shower, Italian stone guest bath, and much more. The neutral finishes are awaiting your personal touches. The large back yard has preserve view and allows plenty of room for pool. This sought after community features a spectacular lifestyle complex with 2 resort style pools, spa, cabanas, tiki hut, tot lot & water play area, fitness center, 5 lighted Har-Tru tennis courts, pickleball, billards room, social room, and full time activities director! With A-rated schools, and close to nearby shopping, interstate access, and entertainment, Riverstone offers incredible convenience. This exclusive community features a grand gated entrance with 24 hour manned security. Reasonable monthly HOA includes all this, plus home security, home lawn care and irrigation! RIVERSTONE Homes: SHOWS LIKE A MODEL! This beautifully decorated open concept Burgundy model with heated pool & scenic lake views has $145,000 in upgrades! Home features: deluxe kitchen with upgraded cabinets, quartz counters, GE stainless steel appliances, under/above cabinet lighting & tile back splash; elegant formal dining room & large family room with amazing wood flooring, master bedroom with new carpet, built-in closet cabinets, master bath with framed mirrors, upgraded cabinets, floor to ceiling tile in shower & wallpaper; nicely appointed guest bedroom & guest bath; large utility room with built-in cabinets, sink & large storage closet; den with pocket doors; new screened-in patio with paved pool deck & long lake views. Additional upgrades include: tung & groove woodwork on walls, crown molding, plantation shutters, security system, accordian shutters, washer & dryer, upgraded fixtures, front porch, A/C warranty, upgraded lighting & custom landscaping. Riverstone has incredible amenities including state-of-the-art lifestyle complex, social director, heated resort-style pool, lap pool & spa, fitness center, 5 har-tru lit tennis courts, pickle ball, basketball, playground & picnic pavilion. RIVERSTONE Homes: H.12621 BEST PRICED POOL HOME, per sq foot. in Riverstone. Take advantage of this rare opportunity to get a pool home just under 3000 sq ft in Riverstone less than $600,000. Enjoy a private, serene preserve view from your spacious screened lanai, equipped with OUTDOOR KITCHEN. Spacious and open living space with upgrades throughout, including built-ins, huge laundry room with built in mud room bench & cabinets, kitchen upgrades, wood stairs, and much more. Convenience of 1 story living, with a large 2nd floor BONUS ROOM & bathroom, perfect for hosting guests, kids play room, or media room! This sought after community features a spectacular lifestyle complex with a resort style pool, lap pool, spa, cabanas, tiki hut, tot lot & water play area, fitness center, 5 lighted Har-Tru tennis courts, pickleball, billards, social room, and full time activities director! With A-rated schools, and close to nearby shopping, interstate access, and entertainment, Riverstone offers incredible convenience. Reasonable monthly HOA fee includes a grand gated entrance with 24 hour manned security plus home security monitoring, home lawn care, and lawn irrigation. Enjoy the Naples resort lifestyle! RIVERSTONE Homes: MINT CONDITION! This impressive single story Bellagio floorplan offers a wide open great room style floorplan with 4 bedrooms, Den, & 2.5 Baths. Situated on the end of a quiet cul-de-sac street, this home features an incredible backyard with heated lagoon style Pool & Spa, mature tropical trees, thick hedges, large screened lanai, southern exposure, pristine preserve views, and ample deck space for sunbathing and entertaining family & friends. Fine appointments include plantation shutters throughout, Quartz & Marble countertops, glass tile backsplash, GE Profile Appliances, diagonal tile, extra high hats throughout, crown molding, side load garage, fresh interior paint, and more! Riverstone offers new modern living along with an amazing clubhouse, which features a Resort Style Pool, Lap Pool, Hot Tub, Kiddie Water Park, Outdoor Party Pavilion, Tennis Courts, Tot Lot, A/C Indoor Sports Court, Soccer Field, Social Rooms, Billiards Room, Dance Studio, & more! Riverstone is conveniently located just 2 min from I75, 15 min to the Beach, and 20 min to 5th Ave/Coconut Point/RSW Airport. RIVERSTONE Homes: H.13747 Here"s a rare find with this Model-Likegorgeous home on an OVERSIZED LAKE LOT with POOL & SPA. Enjoy breath taking sunsets from your lanai in this spacious like-new 4 bed+/4 bth home boasting over $200,000 in upgrades, including wood floors, hurricane impact windows and doors, retractable lanai screens, plantation window shutters, crown molding, built in closet organizers, built-in entertainment center, fenced yard, gourmet kitchen with range hood, granite, and stainless steel appliances. This convenient floor plan features 2nd level bonus room with built in Murphy Bed and full bath. Riverstone is a highly sought after new community featuring the best amenities package, including spectacular lifestyle complex with resort style pool, shade cabanas, tiki hut, lap pool, water play area, fitness center, 5 lighted Har-Tru tennis courts, basketball courts, and 13,000 sqft clubhouse with full time activities director! This exclusive community is located in A rated school district and features a grand gated entrance with 24 hour manned security, with very reasonable monthly HOA that includes all this, plus home lawn care and irrigation. Schedule a showing before it is gone! RIVERSTONE Homes: Welcome Home! Stepping through the front door of this spacious yet cozy home you will know you have found the one. This popular Merlot floor plan features a grand 2-story foyer with a formal living room, guest bed (could be a great office) & laundry to the right & formal dining room with built-in bar to the left. The heart of the home is at the rear with a gourmet kitchen that opens to the family room and a large 1st-floor master with His & Her walk-in closets. Master bath has double vanity, tub & walk-in shower. Upstairs is a spacious loft plus 3 bedrooms & 2 full baths. The spacious covered lanai has lots of room for entertaining with a sparkling pool and sun shelf where you can enjoy the lake view. Over $100,000 in upgrades including crown molding throughout, paint, window treatments, lighting, fans, security cameras & water treatment system. Riverstone is located in North Naples & is in an A rated school district. Recreation area includes a fitness center, social hall, resort & lap pools, spa, 5 lighted Har-Tru tennis courts, basketball & pickleball court, tot lot & picnic area. With a full-time activities director, now is the time to enjoy all Riverstone has to offer. RIVERSTONE Homes: This spacious, charming, coastal inspired home has everything you need to enjoy the SW Florida lifestyle you have been dreaming of. Experience year-round outdoor living in the extra-large screened lanai where you can comfortably entertain with a private preserve view, cool off in the sparkling pool or relax in the spa. With 3,200 sq. ft. & 5 bedrooms this Merlot floor plan easily accommodates a large family or guests. The open gourmet kitchen is light & bright with white cabinets (including custom-designed pantry cabinets) & white quartz countertops. Desirable upgrades include plantation shutters, French pattern travertine & wood floors, crown molding, upgraded paint and lighting. Easy storm prep with hurricane impact glass. Priced to sell quickly so don"t delay, a home this nice, at this price will not be on the market long! A 1-year warranty included for a worry-free purchase. Riverstone is located in N. Naples in an A rated school district. Recreation area includes a fitness center, social hall, resort & lap pools, spa, 5 Har-Tru tennis courts, basketball & pickleball court & tot lot. With a full-time activities director, now is the time to enjoy all Riverstone has to offer. RIVERSTONE Homes: Lowest priced Bal Harbor model in all of Riverstone and Stone Creek! You can"t build this home with these upgrades for anywhere near this price This home shows like a model home and is like new! Don"t miss this 3 Bedroom + huge Den (could be 4th bedroom), over 3000 square feet, gorgeous home with upgrades everywhere! The second you walk into this home, you"ll be amazed at the spectacular Southwestern lake views, open floor plan, the giant wet bar, and other amazing features make it perfect for even the pickiest buyer! Enjoy a drink on the porch every evening and watch some of the best sunsets you"ve ever seen! (Make sure you see the sunset pictures!) Riverstone is an amenity rich community with low fees, full indoor basketball court, huge community pool, tennis courts, incredible clubhouse, and a A+ School District! Make sure to see the 3D Matterport Walk through of the home! RIVERSTONE Homes: Situated in coveted Riverstone, this 6Bed/5Bath/3-Car Garage Shiraz Floor Plan boasts incredible lake views w/refined finishes & quality materials the most discerning buyer will appreciate. Upon entering, the eye is drawn to the dramatic sliding glass doors w/ideal water frontage. A gracious living & dining room offers open, functional gathering spaces while the large kitchen w/granite island, walk-in pantry, stainless steel appliances & 36 cabinets flow to the adjacent covered outdoor entertaining area providing a comfortable indoor/outdoor experience. This outdoor space boasts an enclosed lanai w/copious amounts of entertaining space incl. full fenced yard. In addition to the posh living spaces on the first living level, the layout includes a wonderful lower level den w/full bath & upstairs loft. Upstairs, the luxe accommodations include an en-suite guest bed, 2nd-bed w/full bath, two bedrooms w/Jack-N-Jill bath & stunning master streamlined w/split His & Hers bath w/dual entry shower connecting the two sides, each w/their own private commode & vanity. A must-see neighborhood w/bike paths, clubhouse, resort-style pool, Har-Tru lit tennis court, playground, sports courts & more! RIVERSTONE Homes: A luxurious southern facing lake view, coastal inspired pool home that has everything you need to experience the Florida lifestyle you have been dreaming of. The large travertine lanai is the perfect place to relax & entertain with plenty of covered seating, an outdoor kitchen, electric hurricane shades and a custom saltwater pool & spa that has Aqua Link independently controlled water features, LED lighting & sun shelf. Move the party indoors to the open living area with a great room, casual dining, gorgeous gourmet kitchen & formal dining area that includes a built-in dry bar with wine fridge. The split bedroom floor plan provides privacy for owners between the master & two guest rooms. All bedrooms & den have beautiful wood floors (no carpet! ), custom paint, window treatments & moldings. A 1-year home warranty is included for complete peace of mind. Riverstone is located in North Naples & is in an A rated school district. Recreation area includes a fitness center, social hall, resort & lap pools, spa, 5 lighted Har-Tru tennis courts, basketball & pickleball court, tot lot & picnic area. With a full-time activities director, now is the time to enjoy all Riverstone has to offer. RIVERSTONE Homes: Owners relocating in July! Bring offers!! Merlot model has over $100k in upgrades and sits on an oversized, 1/3 acre corner lot in a cul-de-sac of the highly desired Riverstone gated community. The lot provides an extra-long driveway and an expansive fenced in backyard with custom, heated saltwater pool with rich travertine stone deck. The backyard has beautiful landscaping with privacy hedge and partial lake views. This 3,215 square foot home has five bedrooms, four baths, a loft and a 3-car garage. There are many amenities including: tile and wood flooring throughout, granite countertops in kitchen with accent lighting and mosaic tile backsplash, granite in all bathrooms, crown molding, custom woodwork, espresso cabinets, stainless steel appliances, monitored security system, and overhead storage shelving in the garage. Riverstone provides arguably the best amenities of any gated community in Naples, including a state of the art fitness center, social hall, game room, resort style pool, lap pool, spa, 5 har-tru tennis courts, indoor gymnasium, basketball court, tot lot, childrens water play area, full-time activities director and 24-hour manned security gate. RIVERSTONE Homes: You Must See This Rarely Available Southern Exposure SHIRAZ MODEL situated on Premium Lot on Model Row at Riverstone! Over $75,000 in upgrades, this well appointed luxury residence features 6+ bedroom, 5 bath, + loft & 3 car garage, has room for everyone with this truly well thought out floorplan. Relax in the sun on your southern facing private lanai in your own privacy without any neighbors across the pond. Gourmet kitchen with high end stainless steel appliances, central island, walk in pantry, full backsplash with glass transom and shaker style Brazilian wood cabinetry, along with premium granite counters. New Plantation shutters and professional decorated window treatments throughout. The Southern facing location is key with this home as the lanai enjoys sun from morning until night. Riverstone has incredible resort style amenities with 2 gigantic lounge style pools with cabanas, indoor and outdoor basketball courts, tennis courts, kiddie splash area, full gym with high end equipment, game room, billiards room and so much more. A RATED SCHOOLS !! Pet Friendly. RIVERSTONE Homes: This is the Florida dream home you"ve been looking for. Imagine a welcoming covered entry & a glass front door where you can see though to an incredible long lake view. Sip your morning cup of coffee while watching the sunrise from the 2nd story verandah. Perfect for outdoor living because you can comfortably dine alfresco in the large screened lanai, cool off in the sparkling pool or relax in the spa. With 3,200 sq. ft. & 5 bedrooms this home easily accommodates a large family or out-of-town guests. The open gourmet kitchen is a cooks dream. Easy storm prep with hurricane impact glass. Better than new because this home has over $230,000 in desirable upgrades, it looks like a model home with custom lighting, fans & window treatments & has barely been lived in so you can move right in & immediately enjoy the Florida lifestyle you have been dreaming of. 1-yr. warranty included. Riverstone is located in N. Naples & is in an A rated school district. Recreation area includes a fitness center, social hall, resort & lap pools, spa, 5 Har-Tru tennis courts, basketball & pickleball court & tot lot. With a full-time activities director, now is the time to enjoy all Riverstone has to offer.  RIVERSTONE Homes: H.13903 - Seller motivated - bring all offers! Fabulous single story Drake floor plan. No steps! All bedroom have ensuite full bath. The home has been used for approx 3 months since purchased. Open kitchen & large family room great for entertaining. Living room w/custom fireplace, mantle, & tray ceiling. View is easterly of the protected preserve. Windows, doors & garage doors are impact resistant. Kitchen cabinets upgraded as have appliances including addition of wine fridge & double oven.Walk-in pantry. Built in breakfast banquet in the bay window. Extra shelving added to laundry & garage. Wainscoting in all living areas. Plantation shutters throughout. Whole house vacuum. Bedrooms, Dining Room, & Lanai have been virtually staged. Riverstone is a popular lifestyle community with a resort style & lap pool, spa, cabanas, Tike Hut, childrens play lot & water area, fitness center, 5 lighted Har-Tru tennis courts, Pickleball, Billiards, Social Room, & full time Activities Director! Schools are top rated. The community is conveniently located to shopping, restaurant, a short drive to Naples white sugar sand beaches, & an easy drive to Mercato and all that Naples has to offer. RIVERSTONE Homes: H.14262 - Upgrades galore in this gorgeous, move-in ready 2-story home with Merlot floor plan. Located on an oversized, cul-de-sac lot graced by wide open preserve views, this home has ceilings that soar from 10 to 18 feet high, impact glass along the front with storm shutters for the back, top-of-the-line light fixtures and fans, and quartz in all bathrooms. Tile and beautiful English walnut wood floors blanket the entire home. The kitchen includes Viking stainless appliances, granite countertops, upgraded fixtures, and abundant cabinetry to the ceiling accented by crown molding. Sure to fit your entertaining needs, the spacious dining room has a butler"s pantry topped with Carrera marble. The fenced backyard oasis that backs to the protected preserve treats you to a large salt water pool, an outdoor shower, and is plumbed for an outdoor kitchen. Other noteworthy features include a zoned A/C system with 2 units, a 3-car garage, and preferred southeast exposure. The active community has a 13,000 square foot clubhouse complex with 3 pools and whirlpool spa, fitness center, activities room, indoor and outdoor basketball courts, and 5 Har-Tru tennis courts in a lighted complex. RIVERSTONE Homes: OVER $100,000 IN CUSTOM WOODWORK THROUGHOUT & UPGRADES GALORE! Custom crown, door, window & ceiling moldings, tongue & groove wood paneled wall & built-in entertainment center in living room, custom columns & wainscoting in dining room. Home has been freshly painted & features a gracious foyer, wet bar, all new lighting fixtures, neutral tile & carpet, cove & coffered ceilings along with designer ceiling fans & custom window treatments, blinds & plantation shutters. Kitchen opens to the great room & comes equipped with dark wood cabinets, granite counters, tiled back splash, stainless steel appliances, large center island & pantry. Club room/den offers French door entry onto front courtyard. Spacious Master suite offers His & Hers custom closets along with His & Hers vanities, spa tub & walk-in shower. Screened & tiled lanai that overlooks a landscaped area with plenty of room for a pool. Laundry room, 2 oversized garage spaces PLUS a single car garage for extra storage. Riverstone offers resort-style amenities including 2 pools, basketball, tennis, fitness center and more. RIVERSTONE Homes: $125K LOT PREMIUM! SOUTHERN EXPOSURE! This highly sought after Carlyle is situated on an extra wide lot with one of the longest lake views in all of Riverstone! Desired southern exposure means this home is always light & bright. Inside, you will find an open Great Room style floorplan, including Formal Dining Room, Gourmet Kitchen with Center Island & KitchenAid Appliances, Casual Dining Area, and WET BAR with Wine Cooler. There is also a Club Room with wood floors and a custom coffered ceiling. Master Suite features his & her walk-in closets and bath including walk-in shower with two shower heads and dual vanities. The two Guest Suites each have their own bath & walk-in closet. Other fine appointments include Quartz countertops throughout, extensive crown and detail moldings throughout, high-end lights & fans, diagonal tile floors, Marble Elevation ($10k), Electric Hurricane roll down hurricane shutter on the lanai, finished garage floors, and more! BUILD YOUR DREAM POOL/LANAI! Riverstone offers new modern living along with an amazing clubhouse, which features a Resort Style Pool, Lap Pool, Hot Tub, Kiddie Water Park, Tennis Courts, Tot Lot, Indoor Basketball, Gym, Social Room. RIVERSTONE Homes: H.14006 - One of Riverstone"s most popular homes is the SHIRAZ MODEL. Have your morning coffee while enjoying the beautiful preserve view and watch the sunrise from the master balcony. Its huge closets complete with built-ins will easily accommodate handbags and wardrobe. Not to mention, an impressive shoe collection. The well-planned kitchen has stainless steel appliances, upgraded cabinetry with granite countertops and a fabulous view of the expansive, fenced backyard. There is plenty of room for a pool, patio, and play area. The three-car garage has added storage shelving. The home has an extensive list of upgrades and extras. Riverstone has incredible resort-style amenities with 2 pools, indoor and outdoor basketball courts, tennis courts, kiddie splash area, full gym, game room, billiards room and much more.  Don"t miss the opportunity to own in this area with A RATED SCHOOLS !! RIVERSTONE Homes: This incredibly estate with stunning lake view & pool features over $220,000 in upgrades. As you enter into the grand foyer you are welcomed by 24" towering ceilings, iron & wood open staircase leading to the 2nd floor loft area. The floor plan is featuring formal dining, living, 5 bedrooms with the master suite & guest bedroom on the 1st floor, 4 bathrooms, & 3 car garage. The upper level offers a loft/gaming area of additional living space. The master suite has His & Her walk-in closets. Master bath is tiled throughout, have double vanity, roman tub & walk-in shower. The Chef"s kitchen is open to the family room with a counter height island, granite counters & stainless steel appliances. This home features long lake view, custom salt water heated pool & Spa, outdoor shower, outdoor kitchen, retractable shade screen, Fence, Generator with Propane tank, impact windows and doors, crown molding, hardwood & much more! Riverstone offers incredible amenities including state of the art lifestyle complex, full time social director, heated resort style pool, lap pool and spa, fitness center, 5 tennis courts, pickle ball, basketball, playground, water play area and picnic pavilion. RIVERSTONE Homes: This expansive, one story floor plan has it all--space for a large family, guests and poolside entertaining. A gorgeous, bright master bedroom with two walk-in closets (built-ins) and grand master bath offering dual sinks, separate large shower and soaking tub, plus a second "master" with a walk-in closet and private bathroom, third large bedroom with walk-in closet and a 4th bedroom located behind pocket doors with full bath (also used as cabana bath). A 5th, even larger room located at the front of the home with a double door entry offers a 5th bedroom potential, extra den or office. The living area with soaring ceilings looking out onto the lanai and pool remind you that this home provides the perfect FL serenity of indoor/outdoor living. The kitchen overlooks the great room so it is perfect for preparing meals while spending time with the family. Dining? Well, you have your choice. Sit at the kitchen counter bar (seating for 4 or 5) or the kitchen table area with views to the pool. For a formal occasion, the large dining room is perfect or dine outdoors on the beautiful lanai. Lounge by the poolside fire pit while listening to the water feature in the pool...serenity at last. RIVERSTONE Homes: NEW POOL! NEW FLOORS! This highly sought after LAKE FRONT Carlyle sits on an oversize lot with western views over one of Riverstone"s largest lakes! Sunsets are positively STUNNING! The home has NEW 12 x 24 PORCELAIN TILE flowing through the living areas & Club Room; newer 5 hickory hardwood floors in master & en suite guest bedroom. No carpet. Open floor plan has abundant windows for loads of natural light & gorgeous water views! Heated SALT WATER POOL & SPA were completed July 2018, & feature upgraded LED lighting & sun shelf. Gourmet model kitchen has Induction cook top & double ovens. Luxurious Master Suite & spacious guest bedrooms have custom walk-in closets. Versatile Club Room can be used as den, office or 4th bedroom. Volume ceilings; plantation shutters; updated fans & fixtures; wet bar. Garages have durable polyurea-finished floors; single garage has wall-to-wall overhead storage. Home has been well cared for and is move-in ready! 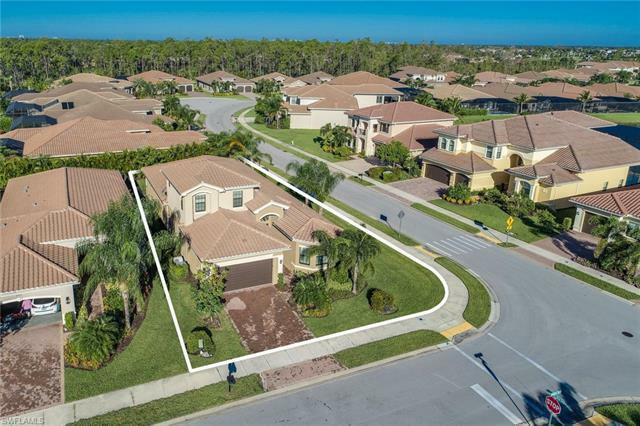 Riverstone is a high-demand community in North Naples with 6 acres of recreation amenities including 13,000 sf clubhouse, fitness center, resort-style pool, lap pool, play ground, 5 tennis courts & miles of sidewalks! A-rated schools.